Couples should focus on budgeting, debt repayment, tax-saving opportunities and managing risk when focusing on their finances. A couple walks into your office hand-in-hand, the sounds of wedding bells or packing tape still ringing in their ears. They look expectantly at you for advice. They’ve taken their relationship to the next level and now want to bring their finances together. Where should they start? To make it easier for people who haven’t budgeted before, Mr. Lopez simplifies the process. He advises them to list their income net of deductions and non-negotiable fixed expenses, such as rent or mortgage payments. Everything else can be one big discretionary category that, ideally, is charged to one payment method so it’s easy to track. Mr. Lopez makes sure clients understand that trimming costs doesn’t necessarily mean giving up an entire experience. He shares approaches he took when he was younger and was invited to a social event at a pricey restaurant: He and his wife would either go for the meal and split a main course, or they would arrive just in time for dessert. “The key is to give them ideas or strategies to be able to achieve more than one thing,” he says. A quick win that complements budgeting is to organize any debt and focus on eliminating loans with the highest interest rates, says Alim Dhanji, senior financial planner at Assante Financial Management Ltd. in Vancouver. When you pay off debts, he says, you get a guaranteed rate of return equivalent to the interest rate. Married and common-law couples may qualify for the federal spousal tax credit if one partner’s net income is under a specific threshold ($11,635 for the 2018 taxation year). There is generally a corresponding provincial/territorial credit available as well. Charitable donations and medical expenses can be pooled on one tax return; Canada Revenue Agency recommends putting charitable donations on the higher income earner’s tax return and medical expenses on the lower income earner’s tax return. For new couples who are older, there may be an opportunity for pension income splitting. One couple Mr. Dhanji saw recently are new graduates with a lot of tuition carry forwards. Because they don’t need further tax deductions and have short-term spending goals, he steered them toward tax-free savings accounts (TFSAs) rather than registered retirement savings plans (RRSPs). “You can carry forward the [RRSP] deduction as well but, in their case, the flexibility that the TFSA offers made more sense,” he says. 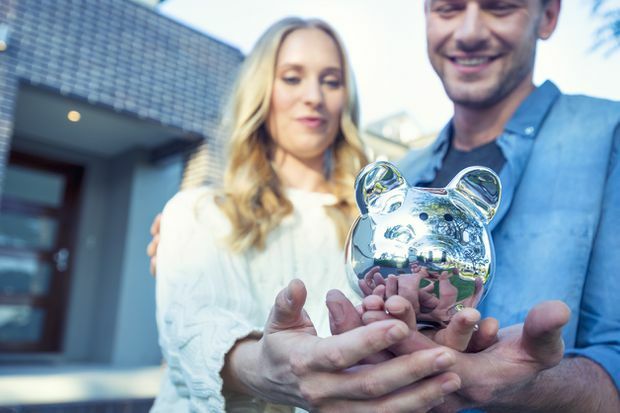 Mr. Lopez typically recommends that any couple saving for a first home avoid putting more than the $25,000 Home Buyers’ Plan withdrawal limit into an RRSP because they never know how much will be required for a down payment and it’s better to have extra savings easily accessible in a TFSA or non-registered account. After the purchase, if there’s money left over, couples can shift their focus to RRSP savings. When Mr. Dhanji is helping new couples set up their joint finances, he makes sure bills are in both names. That way, if there’s a break-up, both partners have established a credit rating. He also talks about which shared assets – the home, a business – would go where in the event of an uncoupling. If one or both partners are bringing significant assets into the relationship, he recommends they see a lawyer to make sure everything’s set up properly. Risk management also comes into play through insurance and estate planning. “I think disability insurance for younger people is really important. They have all these years that they’re going to be working,” Mr. Dhanji points out. Older couples, in particular, may need help evaluating any existing health and dental benefits plans or finding a new one, he adds. And newly married or common-law couples of all ages should definitely update their wills – something Mr. Lopez says an advisor can facilitate by identifying barriers, such as time and cost, and then pointing clients in the direction of convenient, economical options for simple wills.